There seems to be quite a bit confusion on what exactly the differences and similarities between scooters and mopeds are. Main reason that contributes to this is the fact that "moped" has 2 different meanings. 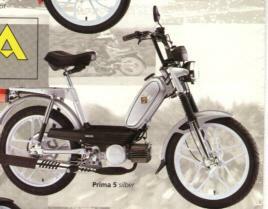 First, it's a small motorized two-wheeler, styled a certain way. Second, it's a legal vehicle category, which determines the way it has to be licensed and insured. The pedals may or may not be present. 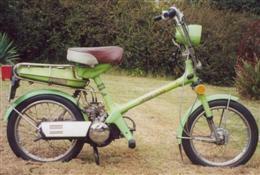 Even if they are installed, they are mainly used for starting, this kind of moped is geared too low for pedals to be usable for manual propulsion. These rules, however are not set in stone - for example there are scooters with larger wheels. In addition, the usage varies by location - in Hawaii, when a business rents mopeds, it usually refers to what we would normally consider scooters, style-wise. Second, there is a legal difference. "Moped" is a legal category (at least in U.S.), while "scooter" is not. 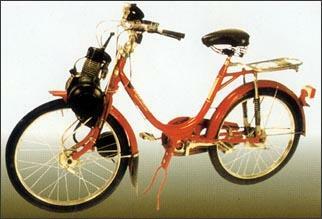 "Moped" on most states refers to a small motorcycle, which has may relaxed licensing and insurance requirements. To find out what the local moped definition is, check the Moped Laws page. As you can see, small scooters easily fit under these definitions and therefore are sold as "legally mopeds". 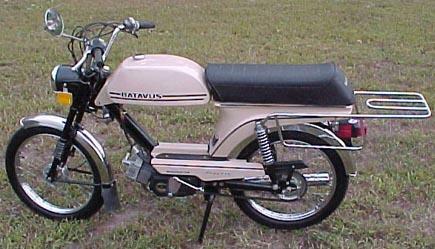 Large scooters, such as Honda Reflex or Suzuki Burgman, are not. Thus, some people say that "all mopeds are scooters, but not all scooters are mopeds". Third, I could venture a guess that some people prefer the term term "moped", because "scooter" may mean several additional things, such as "mobility scooter", "go-ped®" or even a "push scooter". To add a but more confusion to the matter, there are bikes that look like mopeds, but are not, because of higher speed or engine size. There doesn't seem to be a consensus on what to call them but some of terms I've seen are "motorbikes" and "small motorcycles".